In 1972, the Club of Rome – a global think tank concerned with the future of humanity and the planet – published a book titled The Limits to Growth. Through computer modeling, The Limits to Growth demonstrated that unchecked economic and population growth in a global system of limited resources is unsustainable. As a possible solution to the challenges identified in The Limits to Growth, Ernst von Weizäcker of the Wuppertal Institute (Germany) and Amory and Hunter Lovins of the Rocky Mountain Institute (USA) published a report – Factor Four: Doubling Wealth, Halving Resource Use – to the Club of Rome in 1995. Factor Four develops the concept of resource productivity: the amount of “wealth” we can extract from the resources we use. The rationale is to halve global resource consumption while doubling global welfare thereby achieving a fourfold improvement in resource productivity. Factor Four demonstrates how improvements in resource productivity are essential in building a just and sustainable global society. 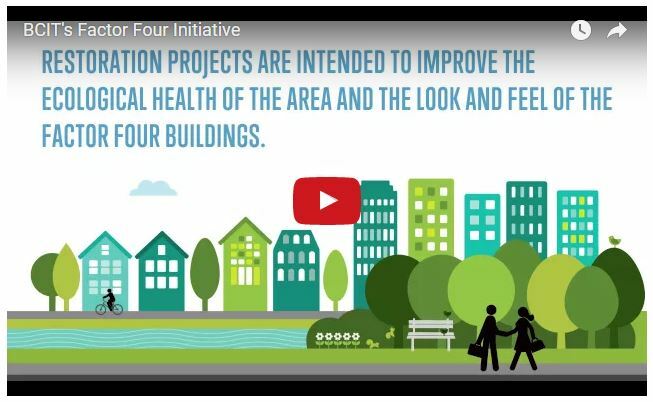 The School of Construction and the Environment is leading the Factor Four Initiative in the buildings it occupies at BCIT’s Burnaby campus: the “Factor Four Area”. 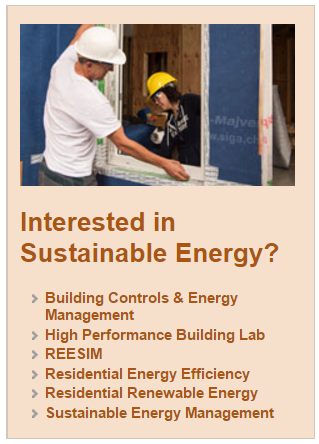 The purpose is to explore whether a fourfold (75%) reduction in materials and energy use can be achieved without compromising service levels (building occupant health and comfort and educational program delivery). Our aim is to adaptively restructure the built environment to create an ecocity fractal. The initiative started in 2009 when School of Construction and the Environment Architectural Science Students and Faculty, worked with Richard Register and Ecocity Builders as well as BCIT staff from Facilities Management, Food Services and Campus Planning to explore what a factor four to factor ten improvement in resource productivity could look like on campus. Faculty and staff from the following research centers also participated: the Centre for Architectural Ecology, Building Science Centre of Excellence, Centre for Energy Systems Applications, Center for Infrastructure Management, and the Canadian Housing and Construction Centre. This area has been selected for a number of reasons: the buildings are all part of the School of Construction and the Environment (the project sponsor), they are intense energy and material users, and they represent the entire range of building types, from industrial, to commercial, to residential. In addition, by working in a concentrated area changes have a greater impact. 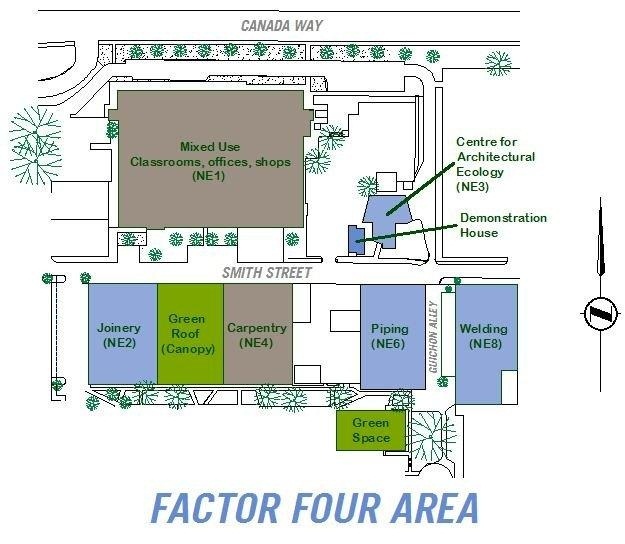 BCIT Factor Four aims at a fourfold improvement in resource efficiency – the amount of wealth (services) generated per unit of resource used – within the Factor Four Area of the Burnaby Campus. The lists below identify some of the resources consumed to provide services to the Factor Four Area. These service and resource streams will be quantified and monitored to measure progress toward meeting the Factor Four objective of a fourfold improvement in resource productivity. All Factor Four activities are designed and implemented with education and student experience as a priority. To learn more on what this all means, read the Factor Four Teaching Resources guide. Read the progress report (coming soon) or download the Factor Four Overview Summer 2014.